Established in 1977, Mid Coast Engineers is the oldest engineering and land surveying firm in the Watsonville area. With over 15,000 survey maps on file, we have broad experience and a long history on the Central Coast. 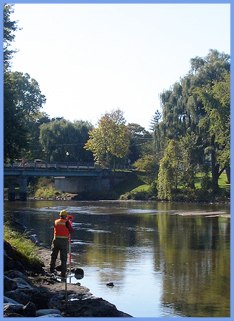 Mid Coast Engineers employs a group of highly skilled and very experienced land surveyors. Our staff has over 75 years of combined experience in the field. This knowledge and expertise merged with our state of the art equipment helps us provide our clients with the quality and efficiency they deserve for solving problems associated with building and land development. Our field crews are members of Operating Engineers Local 3 and as such Mid Coast Engineers has apprentice manning requirements in place for public works compliance. Mid Coast Engineers is a member of the California & Nevada Civil Engineers and Land Surveyors Association and our principals and crew belong to The California Land Surveyors Association.